Join Parth Sodha, India Destination Specialist and Co-Founder of Sodha Travel, on an exclusive tour of North India. Embark on a tiger safari in Ranthambore National Park, stay in exclusive heritage hotels, and marvel at the Taj Mahal at sunrise. Sodha Travel’s personal connections to the country invite travelers to immerse in the culture comfortably and authentically. Enjoy village walks, traditional ceremonies, local markets, and regional cuisine. Please note: This is a small group tour. To maintain a culturally immersive experience, space is limited to 16 guests. Today board your flight for Delhi, India. After breakfast, enjoy a rickshaw ride in Chandni Chowk. Witness the architectural marvels, the multicolored facades, beautifully decorated shops, ethnically dressed locals, and the fragrances emanating from the potpourri of eateries that line the historical alleys. Mughal Emperor Shah Jahan (1592-1666) built the walled city of Delhi on the banks of holy River Yamuna. It had a magnificent palace known as Red Fort, impressive mansions, enchanting bazaars, elegant shrines, royal gardens and fountains at every corner to romance ones' senses. The Emperor’s beloved daughter Jahanara designed a major street called Chandni Chowk in front of Red Fort, with a canal running down the center and pools at major intersections reflecting the moonlight. During the British regime, the street underwent major changes and since then the area has witnessed some of the most important events in Indian history. Today these splendid ruins and tales of valor are a testimony of the evolution of the times. 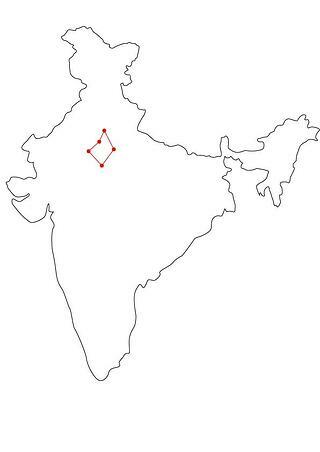 Chandni Chowk truly reflects the national unity, secularism and diversity of India. In the morning, drive to Jaipur (3 hours). Jaipur, the vibrant capital of Rajasthan, owes its name, foundation, and planning to the great astronomer and warrior Maharaja Jai Singh II. The city is fondly called the “Pink City” due to the pink colored buildings and avenues. After breakfast, visit the Amber Fort. The final descent to this ancient city is made by elephant back—a truly memorable experience! (Alternately, a jeep is available.) In the fort, you will see magnificent palaces and halls covered with mirrored mosaics. In the morning, visit the Taj Mahal at sunrise. Built in the 17th century by the Mughal Emperor Shah Jehan for his beloved wife Mumtaz Mahal, the Taj took over 22 years and 20,000 men to build. The monument is truly a wonder of the world. Later, tour the Agra Fort. Its walls and palaces are a silent witness to the rise and fall of the Imperial Mughal Empire and feature a variety of ingenious Islamic inspired devices (some decorative, some more practical) within the fabric of the buildings. It is a citadel with marble palaces, ornate alcoves, and terrace pavilions. Plus: A few surprises by Sodha Travel! To protect your travel investment, Sodha Travel strongly recommends Travel Insurance. 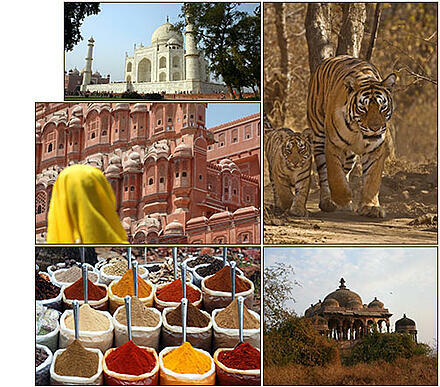 Visit our FAQ page for additional information on traveling to India. A $500 non-refundable deposit secures your space. The final balance is due 60 days before departure. To register, please contact us.